I have a grand-niece! Can I really be that old? 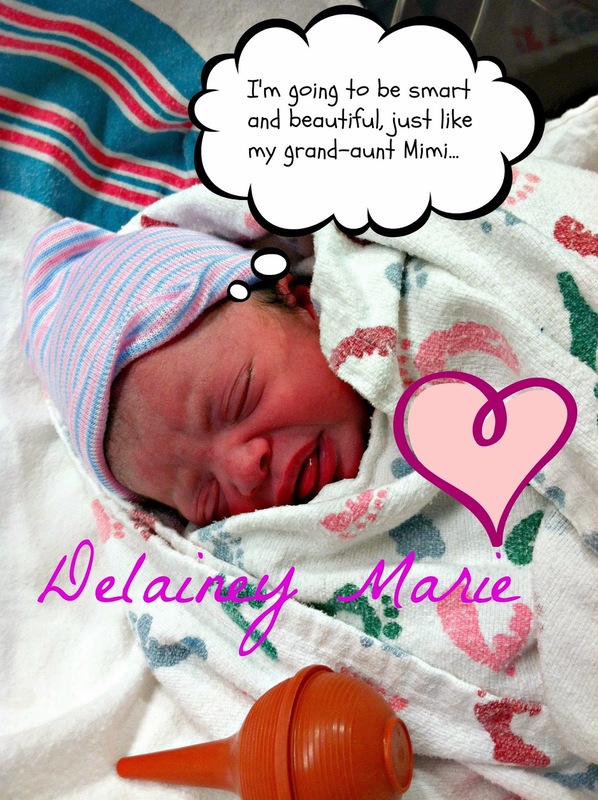 My niece Taylor gave birth to Delainey Marie today! What a great way to start a New Year! Mommy and baby are both happy and healthy- and you can't ask for more than that. Welcome to this crazy world, Delainey. I can't wait to see what life has in store for you.